Acquisition info: Transferred from Tin Room files. Custodial history: The collection was assembled over time as vertical files in the Tin Room. Special Collections merged the files into one collection. A second accession of radio scripts were donated by Kensinger Jones in August 2000. Processed by: Sarah Cain, January 2014; amended by Kristina Impastato, July 2016. Conservation notes: All items placed into acid-free folders and archival boxes. Staples and metal paper clips removed and replaced with vinyl-coated paper clips. 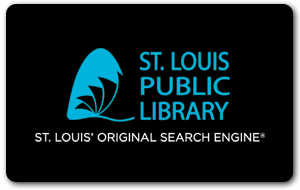 Scope and Content: The collection contains St. Louis radio show scripts from the 1940s. Remarks: Jean Gosebrink accession numbers Ge-322, Ge-324, and Ge-325, Ge-484c.